Tara and sister Erynn Guild are pursuing a shared dream of creating a children’s storybook series. 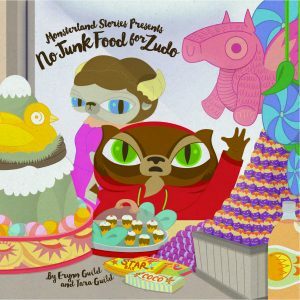 Their first book, No Junk Food for Zudo was recently released and is receiving excellent reviews. It is the first book of a planned series. 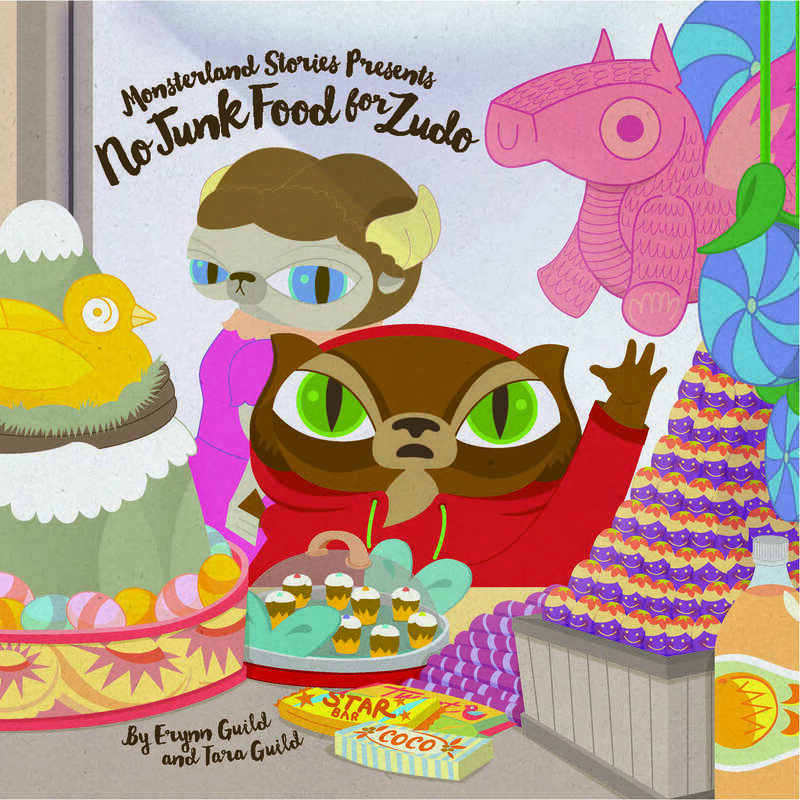 The book introduces Zudo, a raccoon-like character that struggles with making the right food decisions. – junk food or not? It’s a problem most parents can relate to as they try to teach their children how to make healthy food choices. Zudo experiences the downside of bad choices and the benefit of good ones. The book is a 9’ x 9” soft-cover edition is filled with beautiful colour illustrations rendered in great detail and sure to engage the attention of young children. The dialogue is simple, easy to understand and suitable for young readers or those just listening to it being read. As self-publishers, Tara and Erynn face the challenges of producing their book and getting it in the hands of potential buyers. The initial print run of 100 books was produced by Qwik Print located in The Technology Centre using one of the newest Xerox digital presses. These machines are ideal for these high-quality, small quantity publications. Marketing has largely been through word-of-mouth, events and on-line promotion through a web site and social media. Self-publishing and self-promotion is commonly the only means by which first time authors can get the product seen and sold. It has also made it ways onto the shelves of some local businesses. To find out more about Zudo and the Guild’s first book, visit: www.monsterlandstories.com or check them out on Facebook at: www.facebook.com/monsterlandstories.